The candidates should have passed [10+2] / Intermediate exam conducted by the Central Board of Secondary Education(CBSE) / higher secondary school(HSE) from any recognized university/institution. The candidate should have an average of minimum 45% overall along with Physics, Chemistry, and Mathematics as mandatory subjects. The eligibility to enter the college is to get a good EAMCET rank basing on the social category the student belongs to. Since I didn't perform well in EAMCET I had to pay a donation to get admission in the branch of electronics and communication engineering. The faculty of the particular branch are very knowledgeable and they guide the students in the path of their interest. With more no. of PhD scholars than any other branch in the college, the branch of ECE stands as a crown of the college. PVPSIT has a brand mark throughout the state. It is EAMCET based college. In B.TECH each branch intake is 120 except civil it is 60. This year placement record that 2nd rank in India off-campus placements of TCS, every year at least 70% will be the placements. No, any entrance exam intake is by Emcet counseling. Should qualify the Emcet exam of Andhra Pradesh. The eligibility criteria for the course to clear EAMCET .Management seats are available . The EAMCET cutnoff for open category varies from 4000 to 16000 rank of EAMCET from branch to branch. The eligibility criteria for MBA is bachelor's degree. Entrance exam for MBA is ICET. Cut off is based on performance of candidate and reservations. The eligibility criteria and admission procedure for my course is through AP EAMCET. The cutoff rank is 14,000. Admission through AP EAMCET entrance examination. There was no entrance exam other than that. one must clear the AP EAMCET exam to get admission in this college. The cutoff rank must be below 27,000. 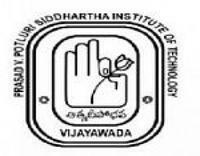 What is the fee structure for B.Tech (Aeronatical) in Prasad V Potturi Siddhartha Institute of Technology, [PVPSIT] Vijayawada?